Gheorghe (George) has been in Smiles care at JFL since December 2013. He is 65 years old with virtually no family. No wife, no children – just a sister who lives 100 miles away who also has medical problems. 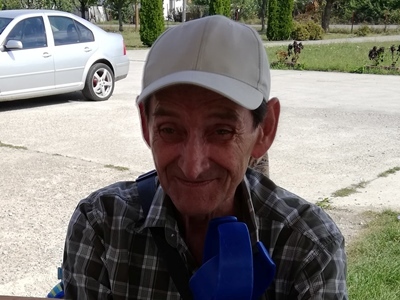 Gheorghe is under treatment for problems with his lungs but also had problems in the past with alcohol and became quite dependent before coming to Smiles. We now monitor these concerns to ensure any temptation to seek alcohol is avoided. Gheorghe needs the 24/7 care that JFL provides. Can you help with supporting Gheorghe to continue benefiting from JFL Care? A personal monthly contribute (minimum of £20/$30 towards the need, or organize a fund-raising event that may well cover his needs for a year! Please let us know if you can help. The Smiles staff and Gheorghe himself will be praying for you in your efforts to reach out and help. Floare Andor arrived at our Residential Care Centre in February 2017, following a request we had from the local Social Services, to take her under our protection. She had to be evacuated from the place she was living in, because of the inability to pay her monthly debts. She didn`t know if she would arrive in a good place or not. She had confidence in those she knew and advised her to make this move, also the local authorities assured her that the Smiles will take care of her. She experienced many hard moments in her life and was physically alone, but indeed, her Father in heaven is with her, taking care of her needs, in the way He knows best, according to her real needs! Alexandru was one of the first residents to arrive at Tileagd Assisted Living facility after we opened on July 1st 2017. He has been happily cared for since the very beginning and we hope to get support to continue the care we provide. 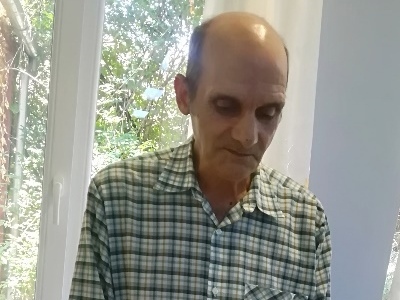 Alexandru is from Oradea but sadly following his divorce he lost contact with his children and now he never has any contact with or from his two daughters. After living rough due to losing his home in Oradea, he contracted Gangarene which we required his right leg to be amputated. At 64 years of age, he now needs considerable help in life, which we hope to provide for many years to come. With your help we can do so. We pray for supporters to help us provide the necessary care. Romolica has been known by the Smiles family for many years. 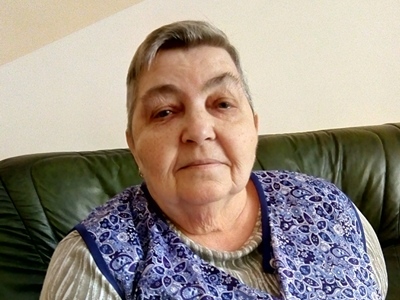 She was served through our Family Care Project when she lived in an old train carriage in the town of Salonta. Smiles purchased her a newer Caravan to live in some 7 years ago but as Romolica aged, so the problems in her life grew. A devoted Christian, she has some friends from the local church who occasionally visit. No husband or children, but a nephew also visits occasionally. Following amputation of a foot, Romolica found living alone too difficult, and Smiles were delighted to offer her a place at our JFL in her home town. 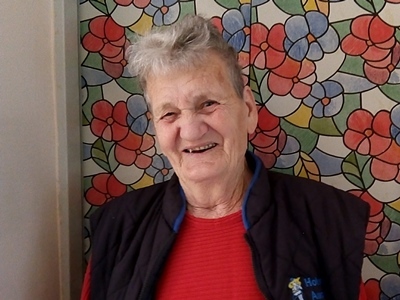 She came to live at JFL in March 2018 and appreciates immensely the care she receives. She spends much of her day reading the bible but needs medical support in addition to normal living conditions. Can you help with supporting Romolica to continue benefitting from JFL Care? A personal monthly contribute (minimum of £20/$30 towards the need, or organize a fund-raising event that may well cover her needs for a year! Please let us know if you can help. The Smiles staff and Romolica herself will be praying for you in your efforts to reach out and help. The story of Elisabeta Varadi’s life is a special one. Some years ago, Elisabeta was diagnosed with cancer. After attending hospital for some tests she received a verdict unexpectedly … cancer in the last stage, too late for the doctors to do anything. No surgery or anything else possible. Being in this situation, getting ready to die, together with her only son and his wife, decided to put her apartment into the son’s name, to ensure all things were done. The big surprise was when she was discharged from the hospital, with the cancer gone. But amidst such good news, things were about to get much worse. When she needed to return home, instead of the family helping, they turned their back on her. They didn’t let her live with them in the apartment anymore! She roamed the streets, travelling by bus all day long, going nowhere, just sitting on a bus. One day she got to the Smiles Container Village, part of the homeless project. But as if all this wasn’t enough she had some more medical problems, so she needed nursing and more permanent observation. This is how she arrived into our center, the Smiles ECO facility. The relation with the family was totally broken but God gave her days to live and then years passed by. She had many medical checks, mostly when she first entered the center. Now she is at the hospital once a year, but things went well. Now it is 4 years and she is still with us! With no means to provide for her care, Elisabeta needs your help. 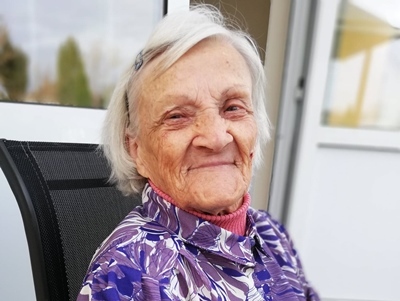 Ana came to our centre in February 2018, one of our older residents as she is now 90 years old. Her original home was in Oradea, but she has not home now other than our facility. Ana grew up in an orphanage and although married, never had children. Her husband died over 10 years ago so the past years she was very much ‘on her own’. 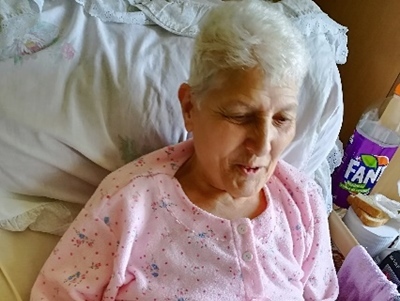 She has been diagnosed with stomach cancer and therefore has considerable medical needs and expenses, which we are privileged to help with at Tileagd Assisted Living. But we need help. Can you help this dear old lady through a monthly contribution or special event to raise funds for Ana?